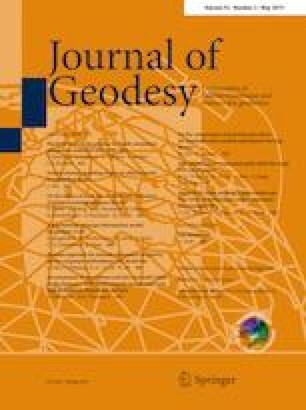 The thin plate spline (TPS) is an interpolation approach that has been developed to investigate a frequently occurring problem in geosciences: the modelling of scattered data. In this paper, we carry over the concept of the thin plate spline from the plane to the sphere. To develop the spherical TPS, we utilize the idea of an elastic shell that is attributed with the bending energy and the external energy. The bending energy describes the shape of the membrane, while the external energy reflects deviations between the shell and the data to be modelled. Minimizing both energy terms leads to the variational problem with the solution in the form of the Euler–Lagrange equations. We provide the solution of the variational problem for two cases: (1) total energy minimization over the whole sphere and (2) total energy minimization over a closed region of the sphere. In case (1) we found a closed analytical solution in the form of collocation in a reproducing kernel Hilbert space. The local case (2) solution is based on a discretization of the corresponding Euler–Lagrange equation using the spherical Laplace operator. The performance of the introduced spherical TPS is demonstrated on two real world data sets. It is shown quantitative that the thin plate approach is significantly more effective than Gaussian filter in terms of the GRACE data de-striping. We also show that the TPS can be used effectively for the modelling of the vertical total electron content. It allows the reduction of the computational effort in comparison with well-established planar TPS approximation. Moreover, the harmonicity property of the TPS can be utilized to solve various issues related to Earth gravity modelling.